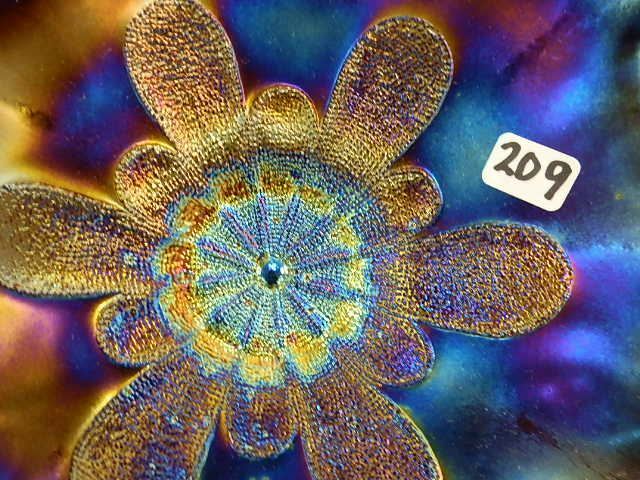 Large and small stippled petals extend from the center of the piece. 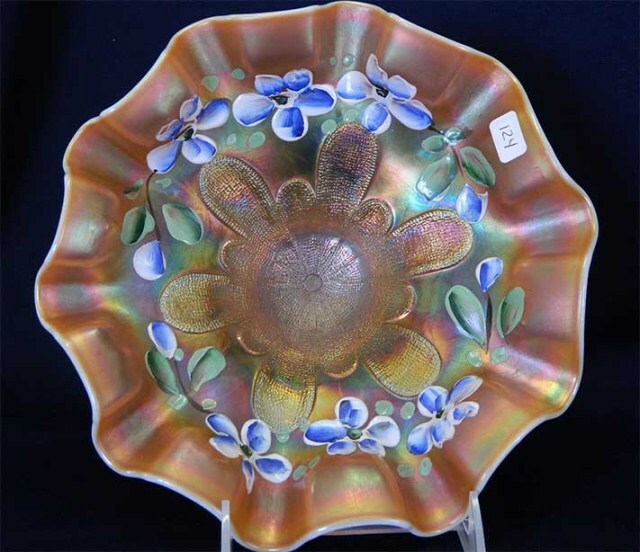 All pieces have the typical Dugan domed foot. 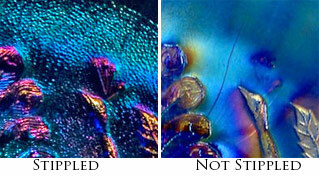 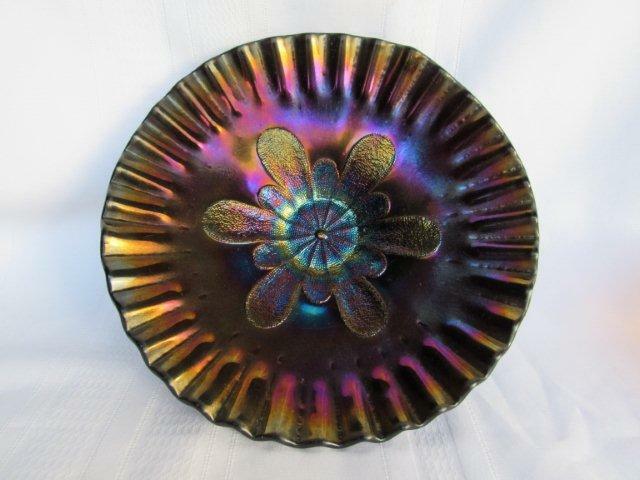 Purple is quite hard to find and more desirable, particularly in the crimped plate as at left. 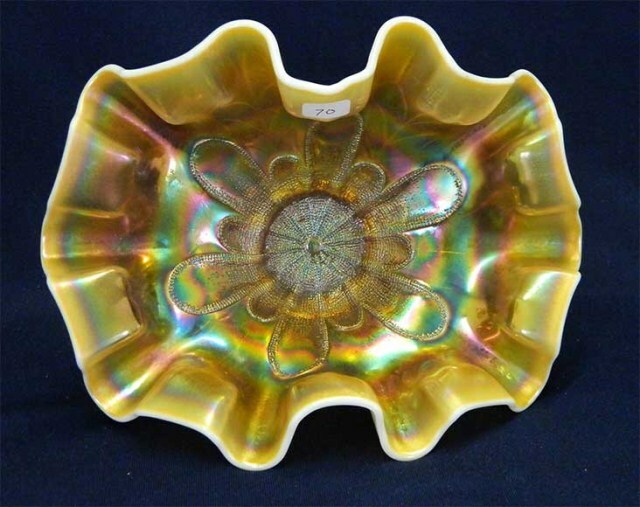 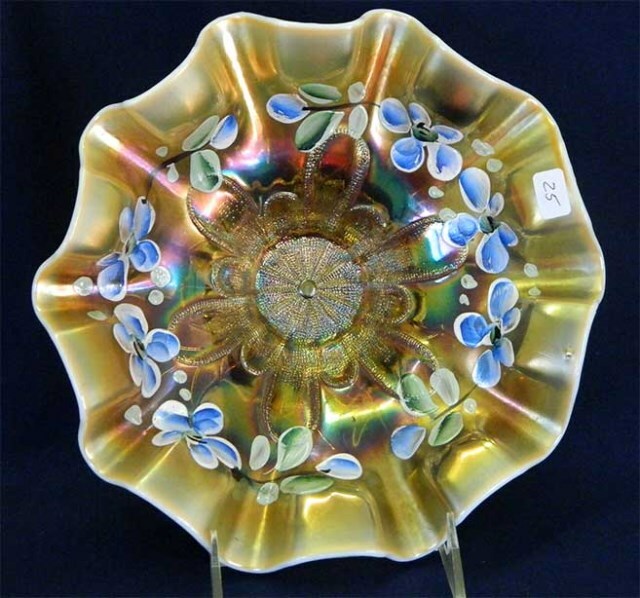 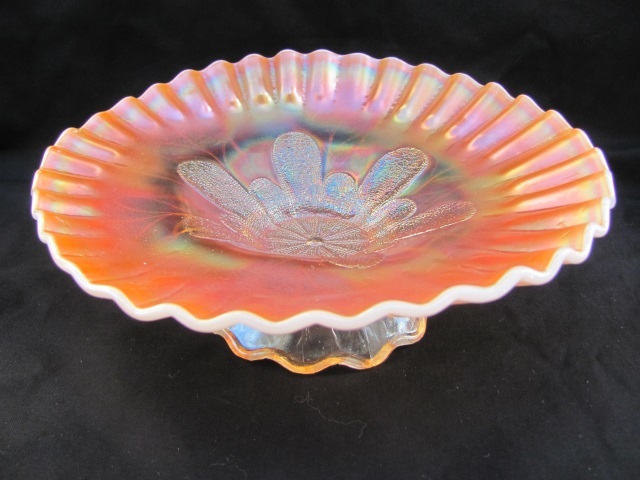 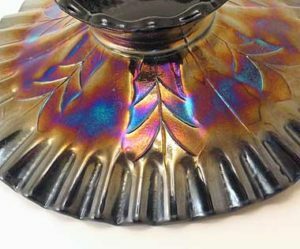 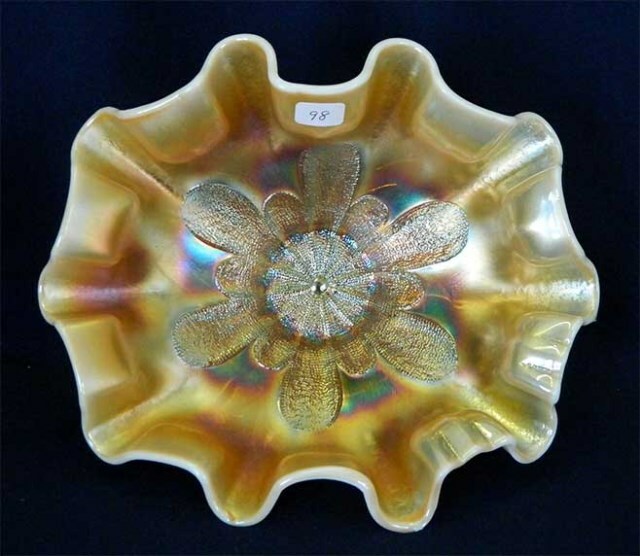 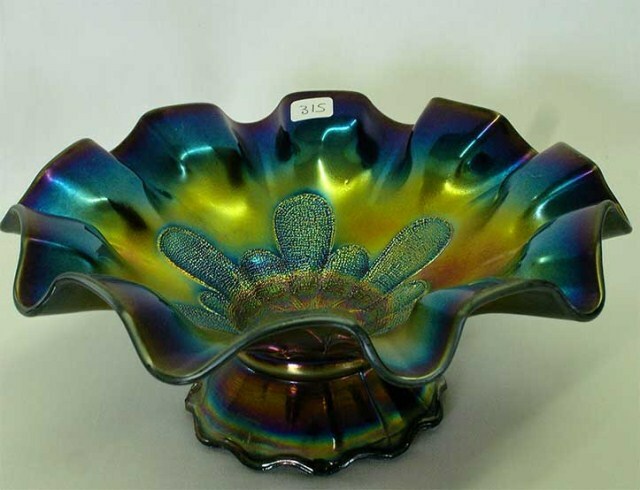 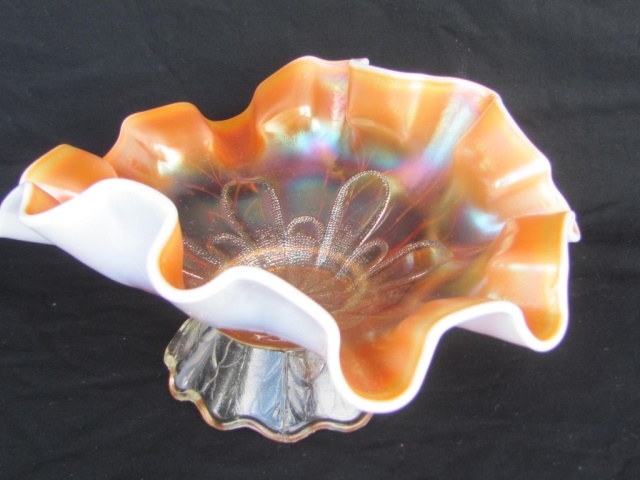 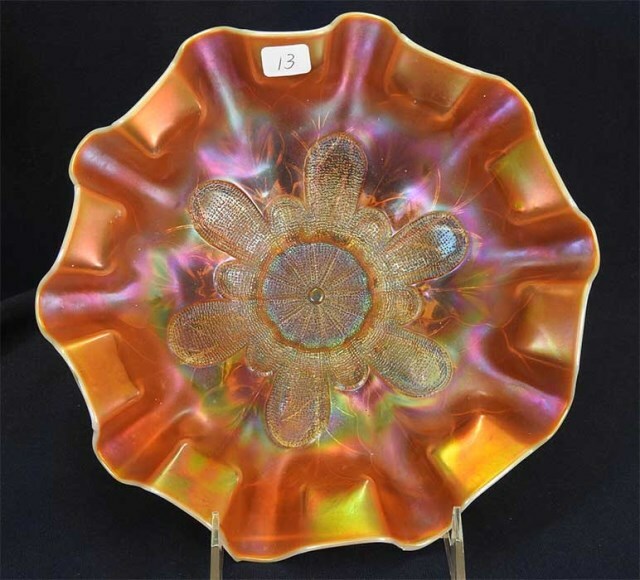 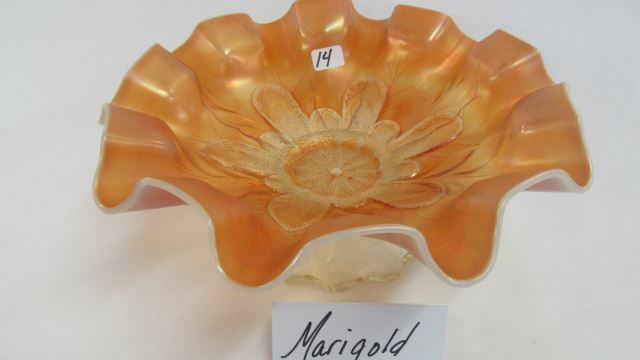 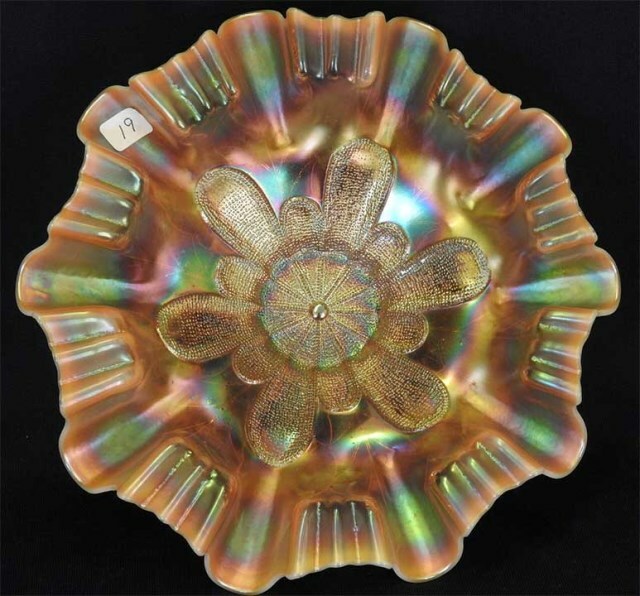 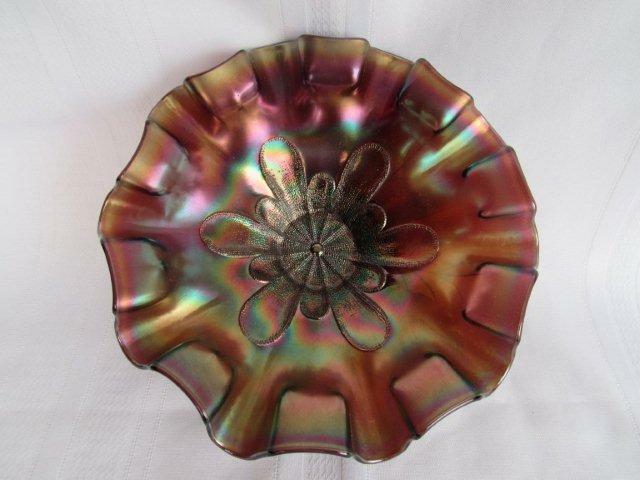 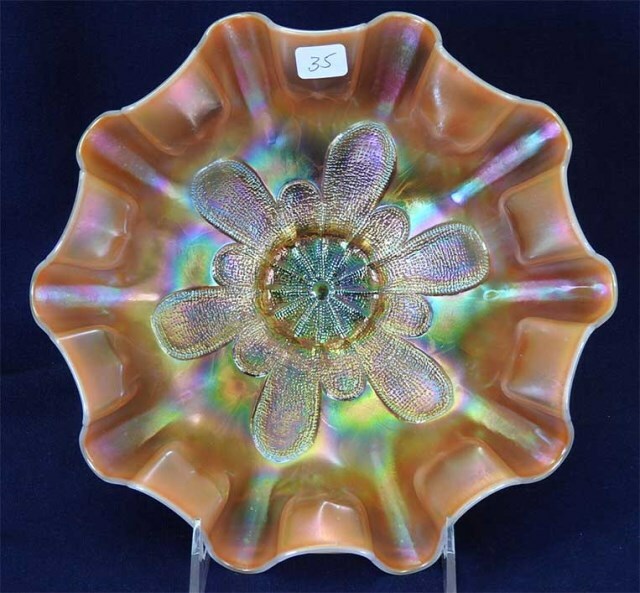 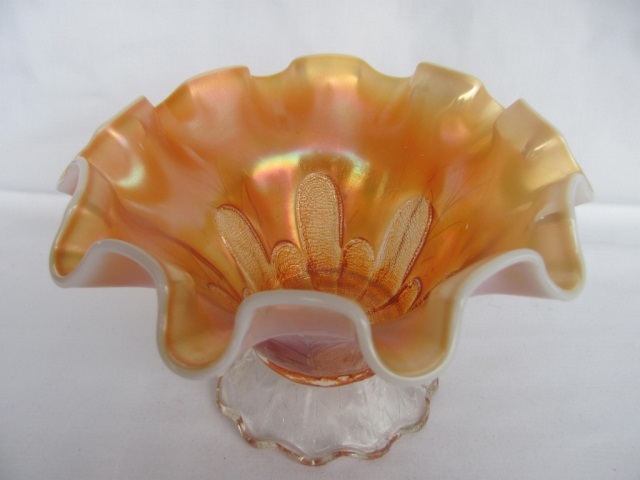 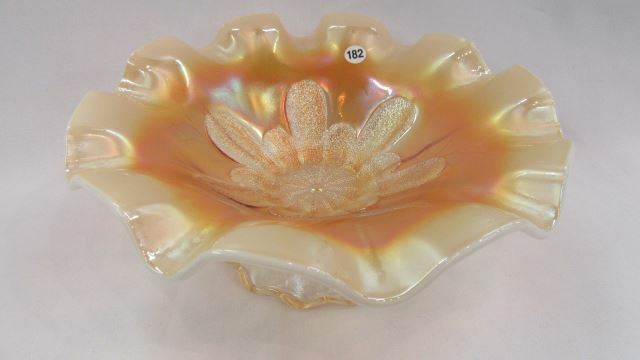 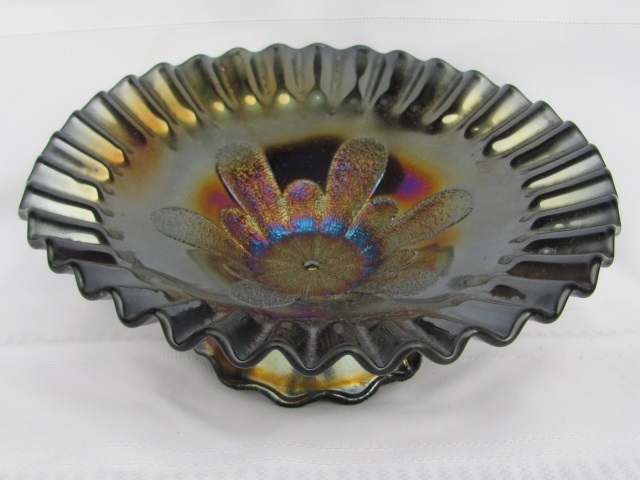 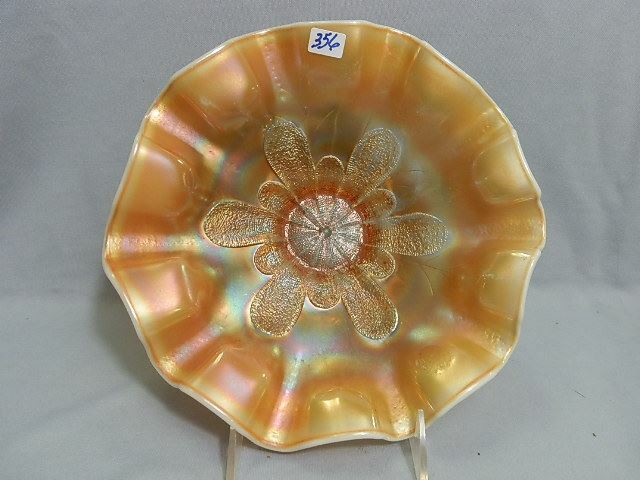 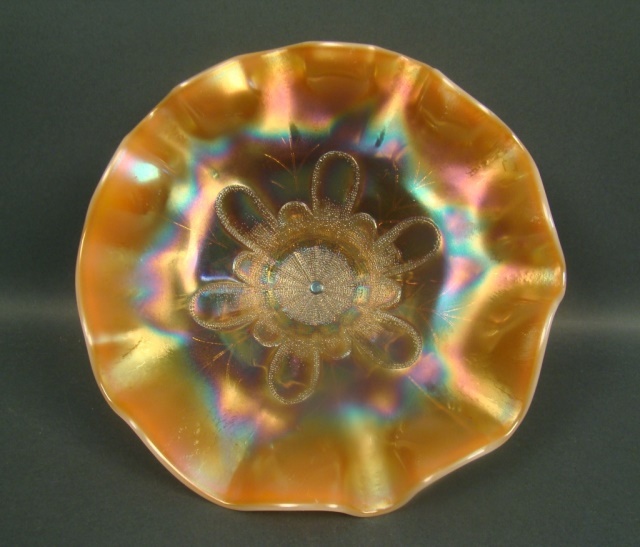 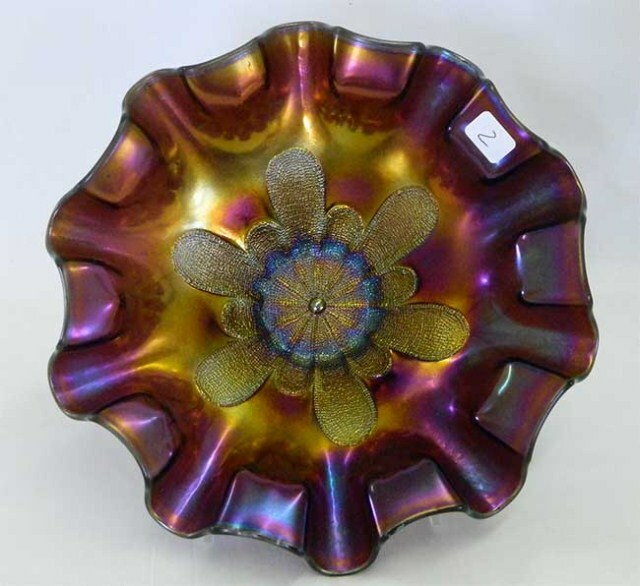 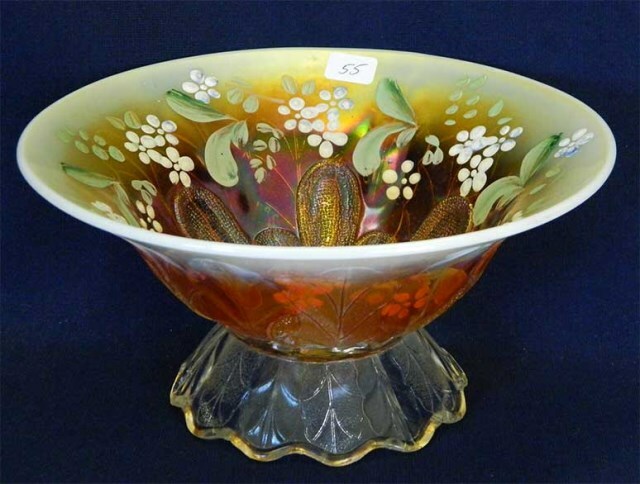 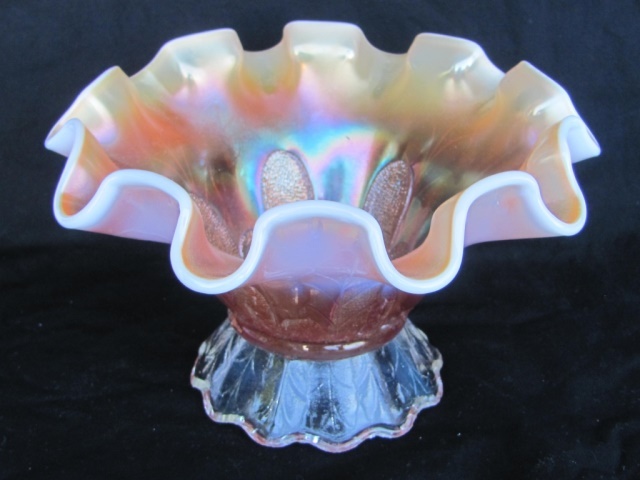 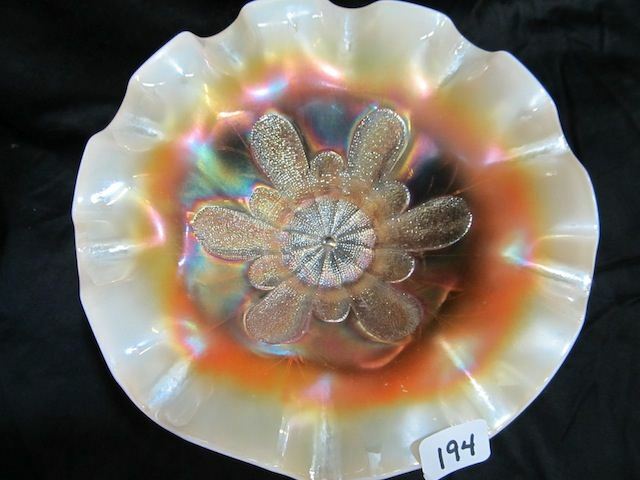 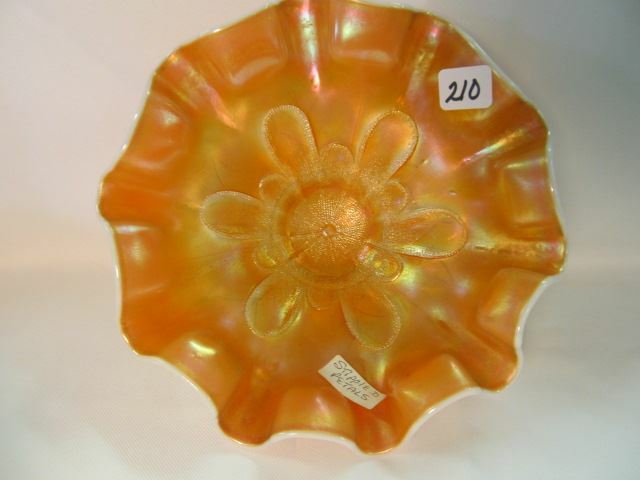 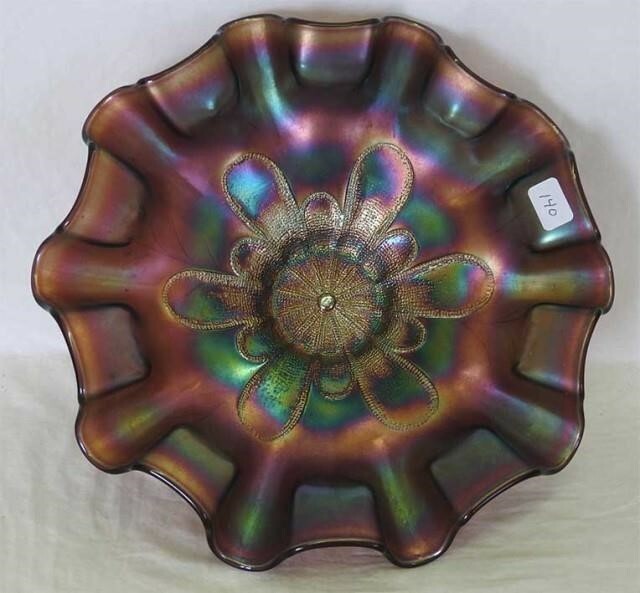 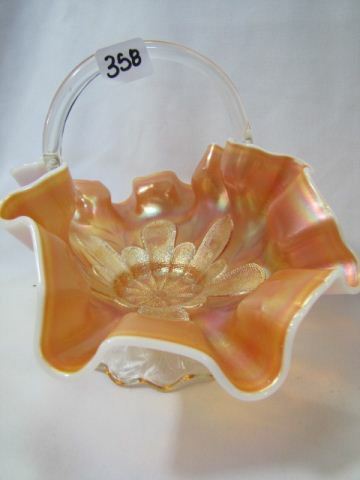 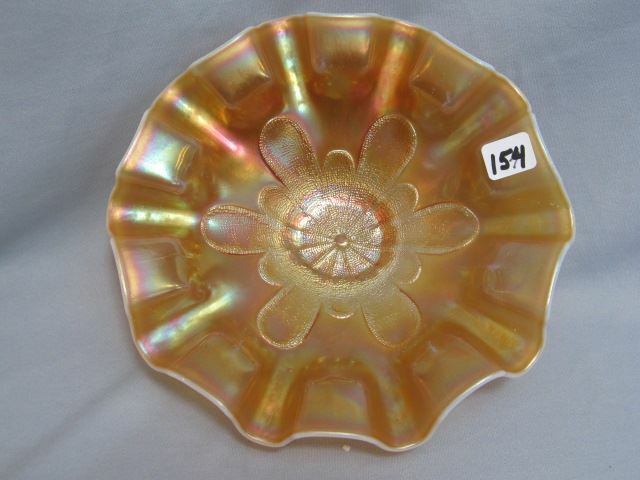 In addition to ruffled, bowls are found crimped, three-in-one or whimsied into tricorner shapes. 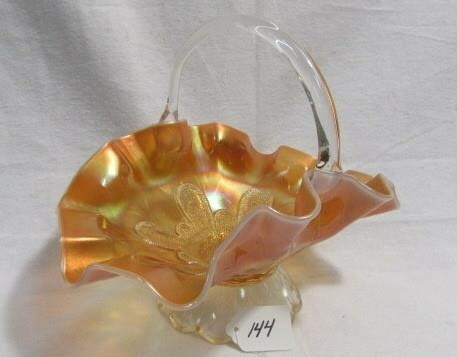 Occasionally a basket, made by attaching a handle, shows up. 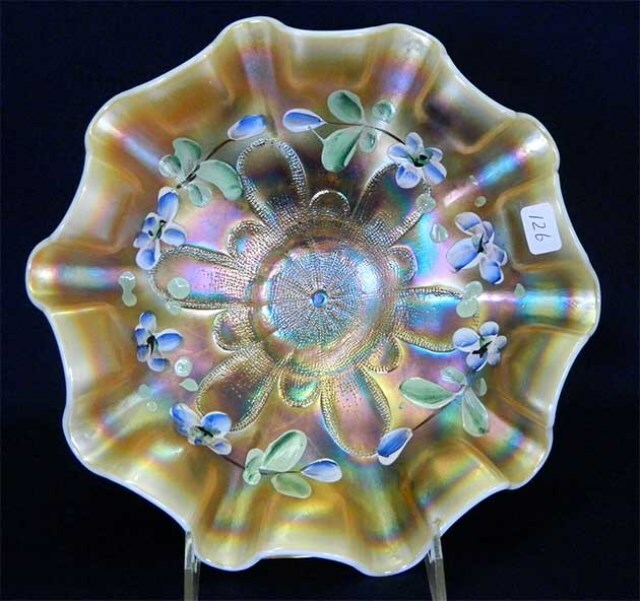 The back pattern is known as Long Leaf, left bottom. 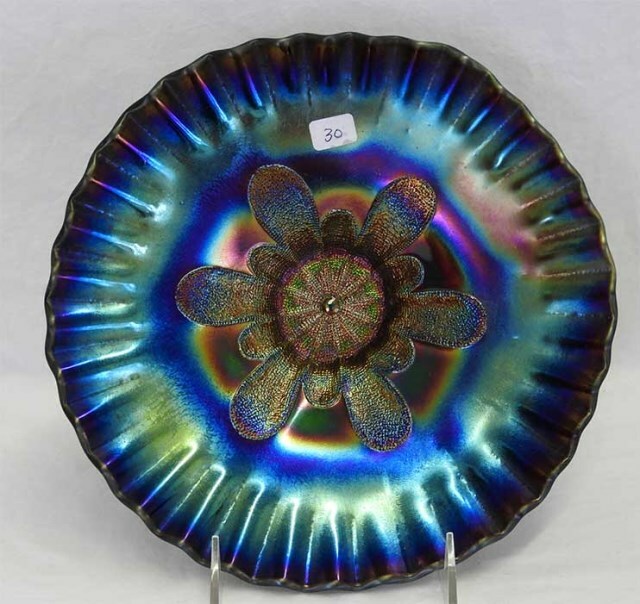 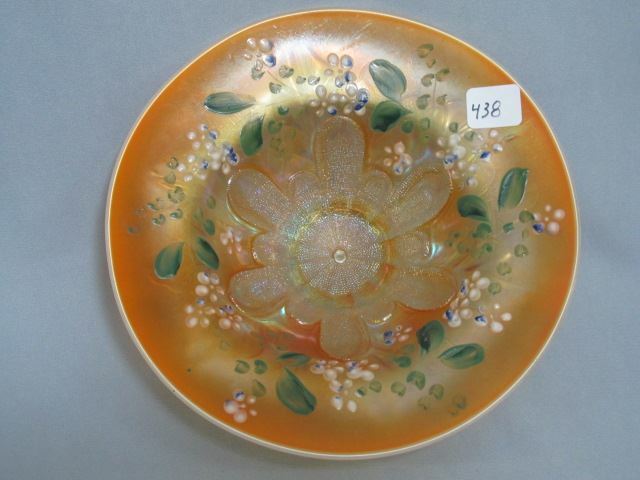 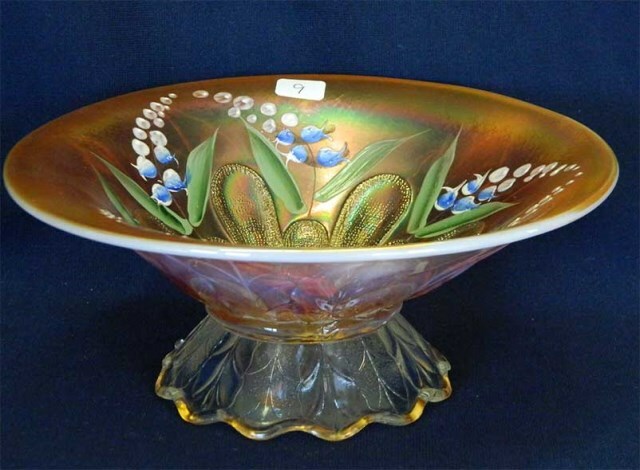 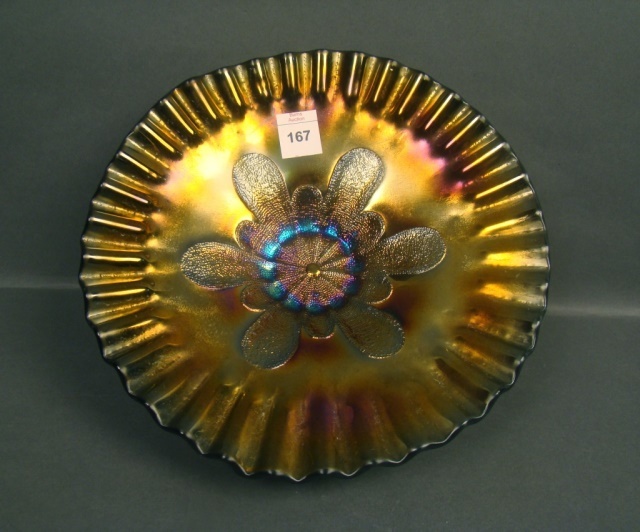 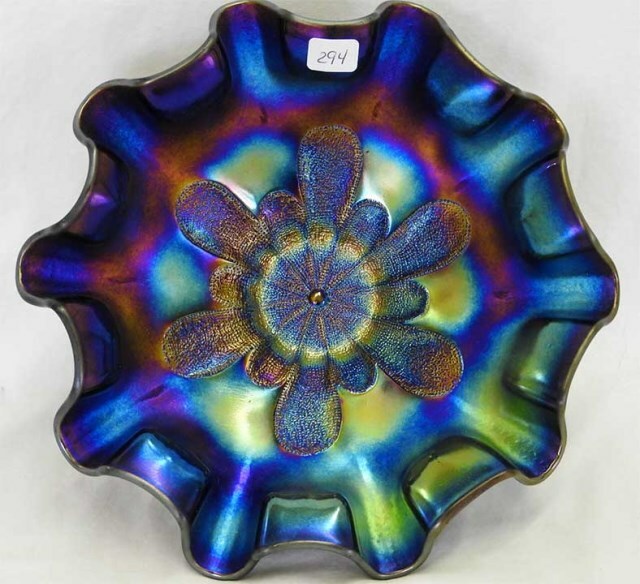 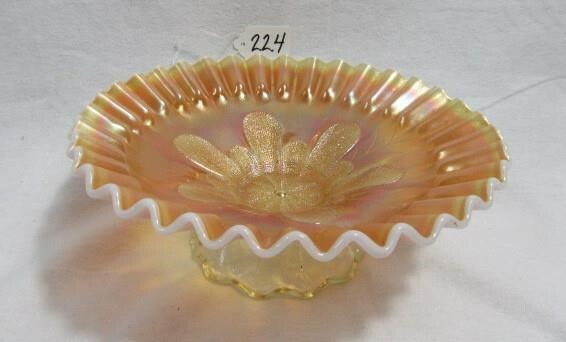 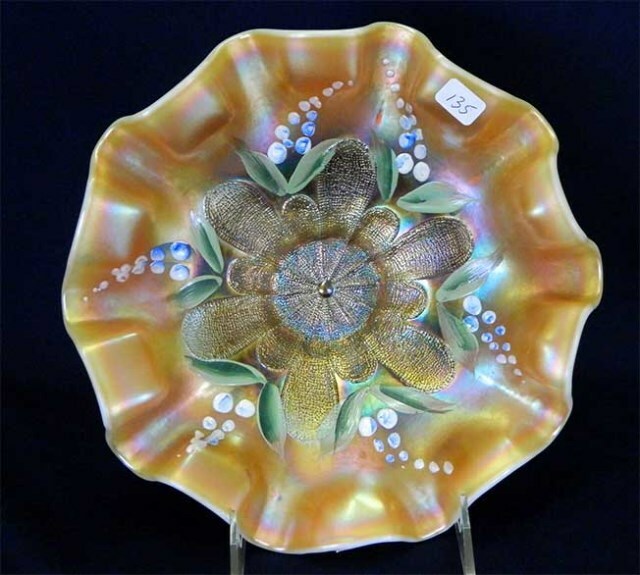 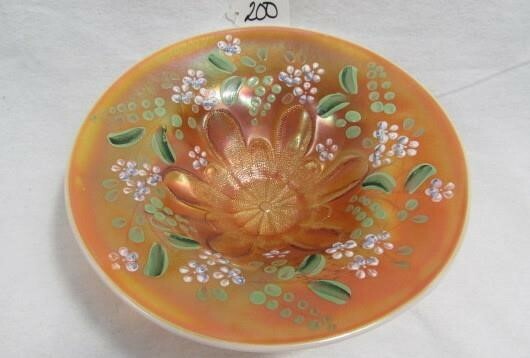 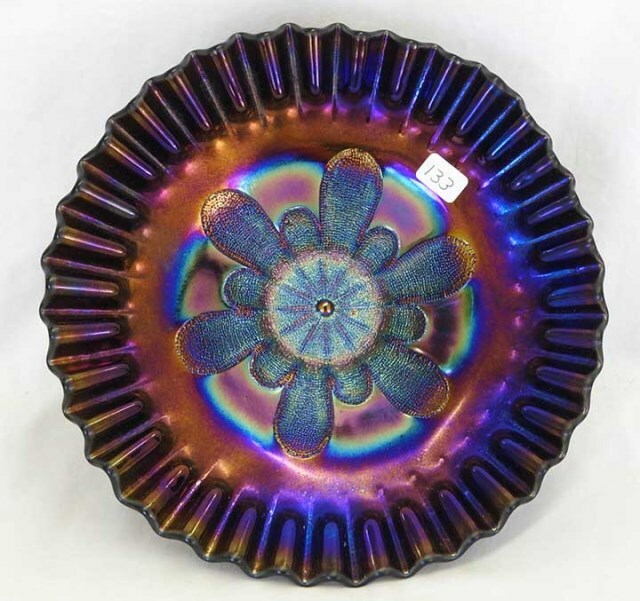 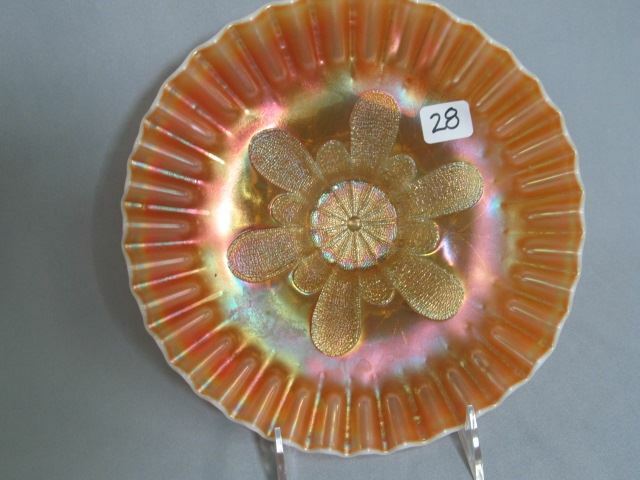 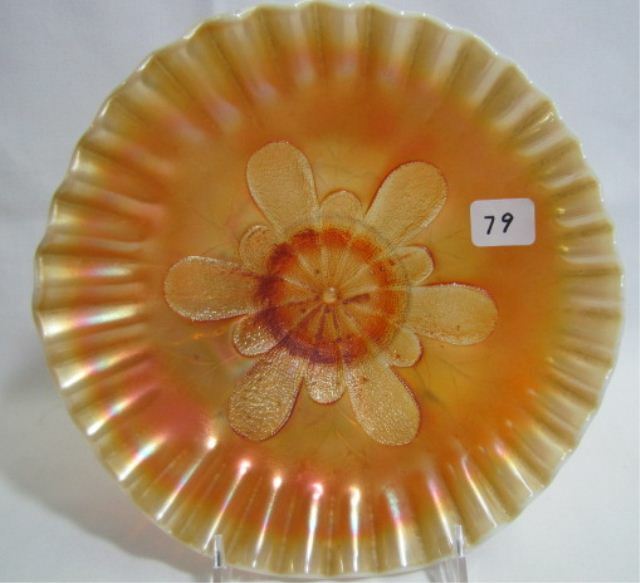 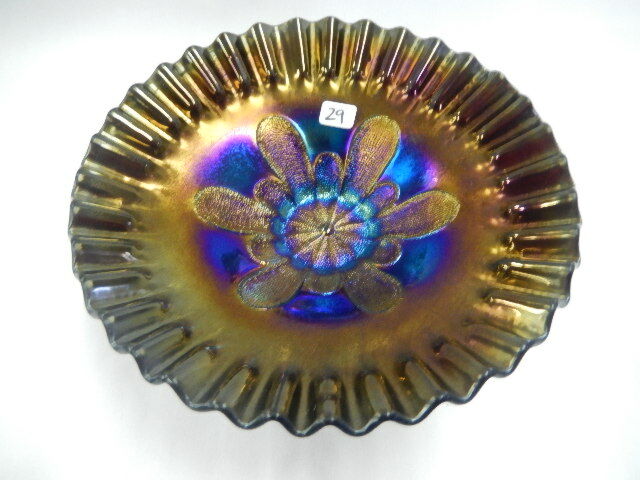 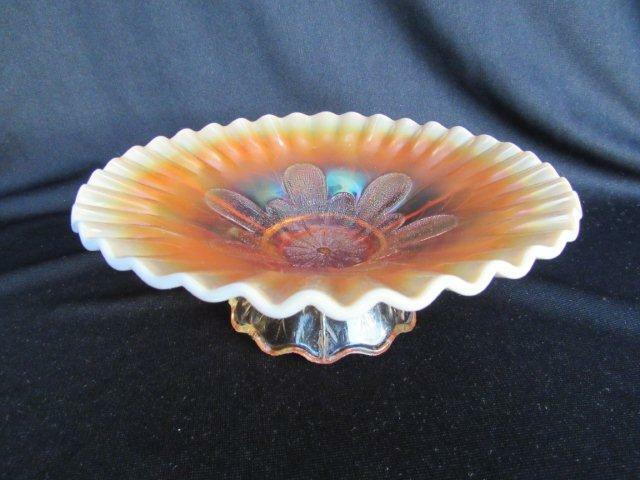 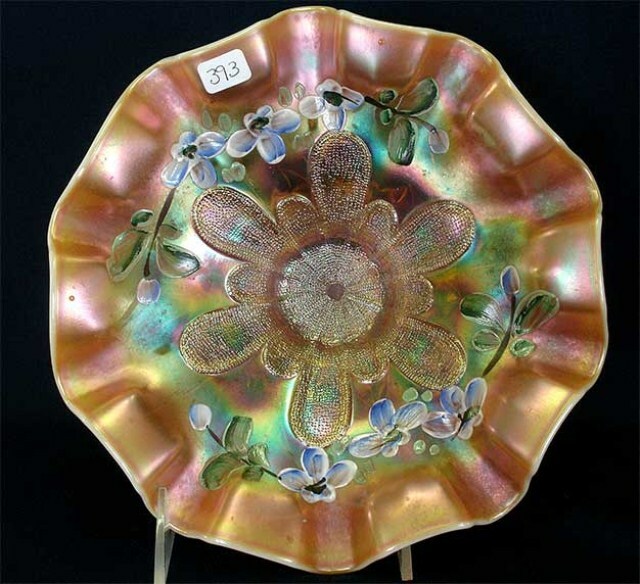 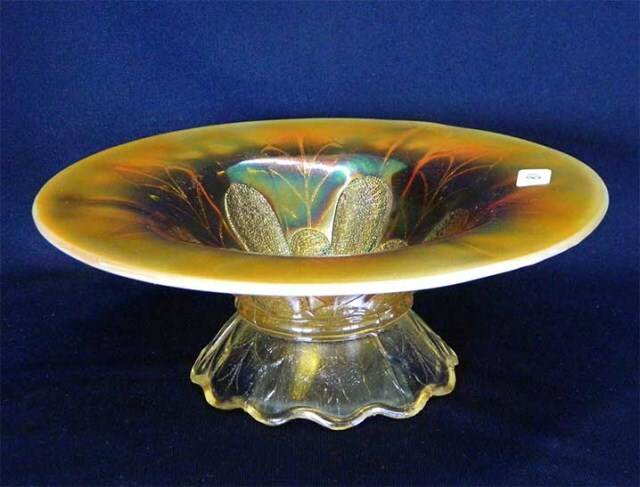 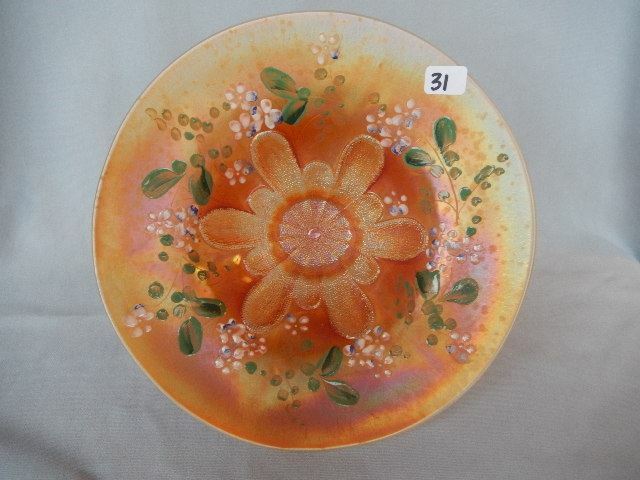 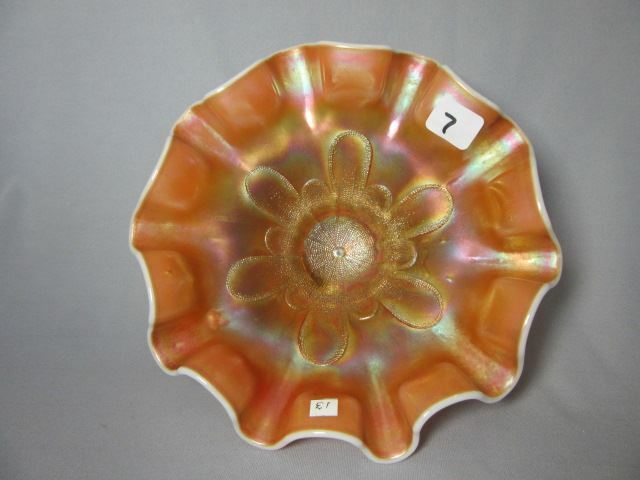 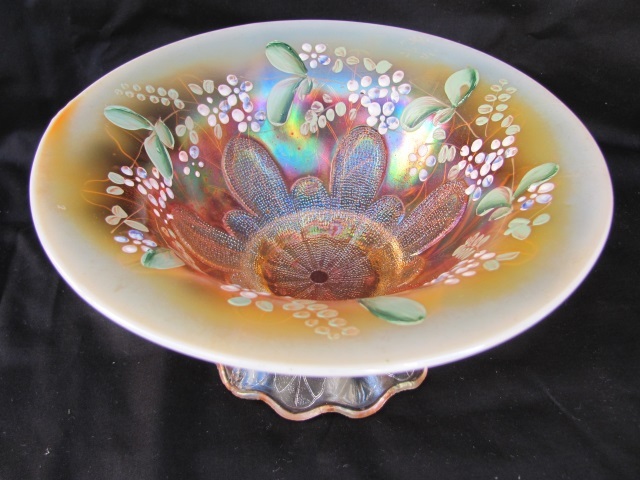 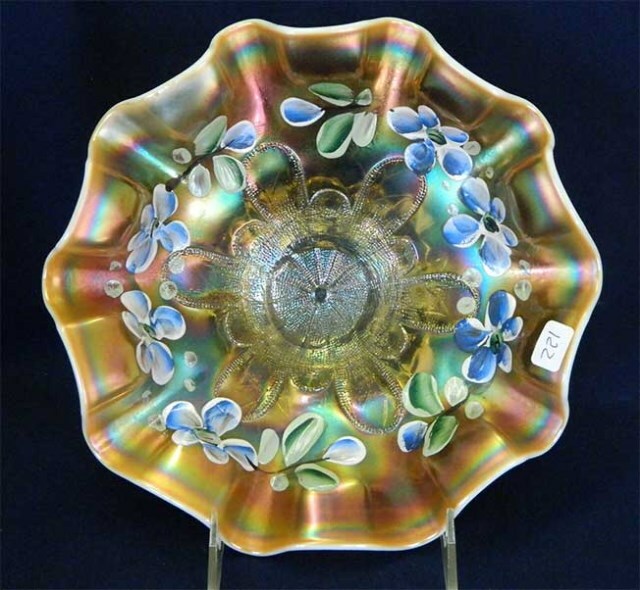 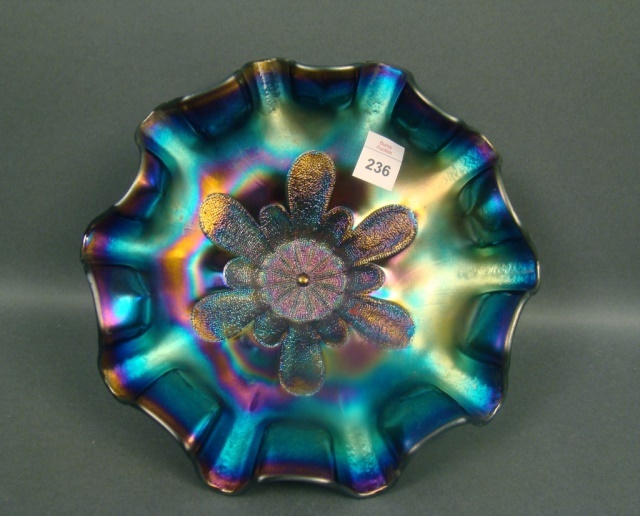 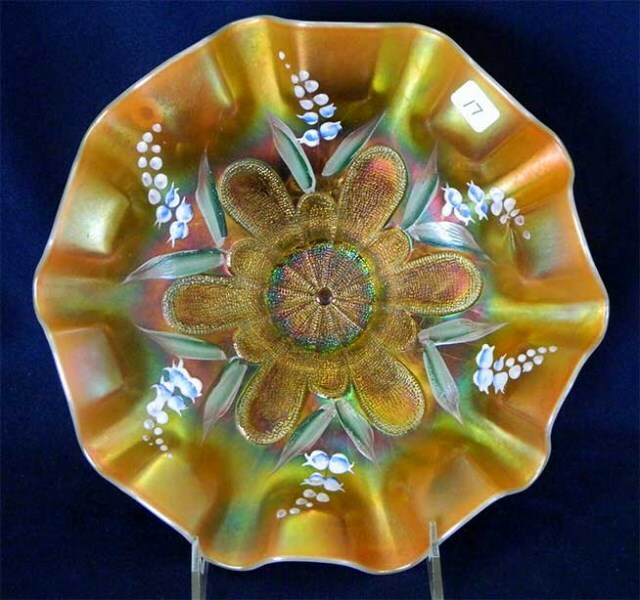 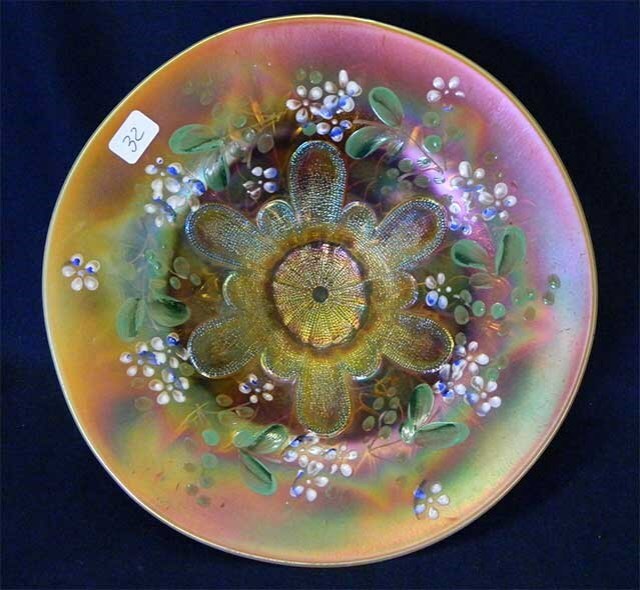 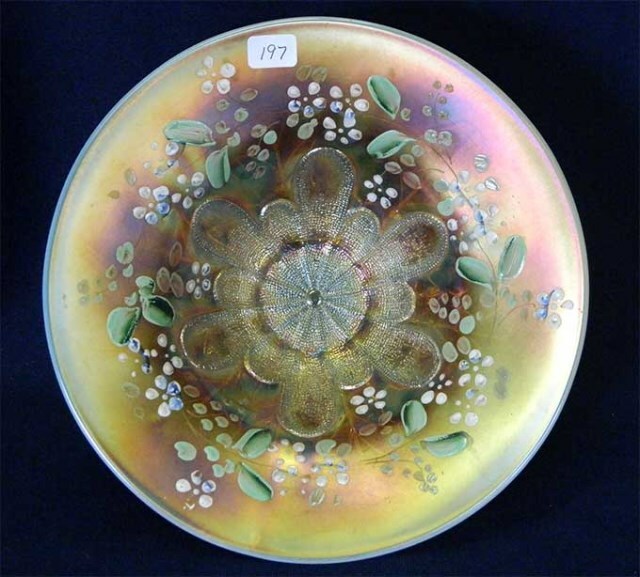 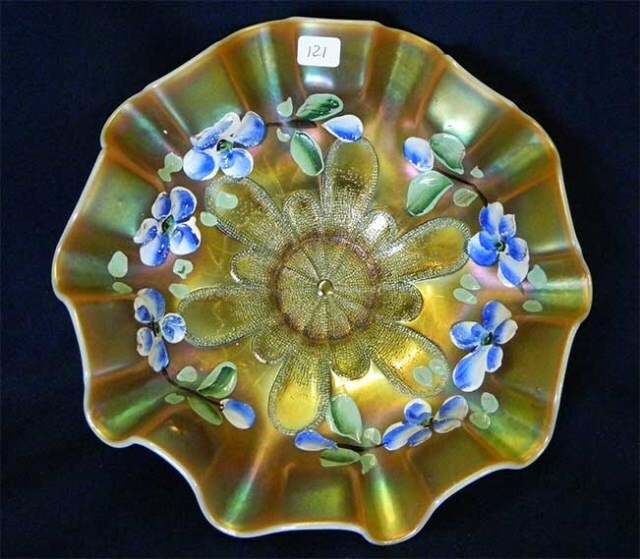 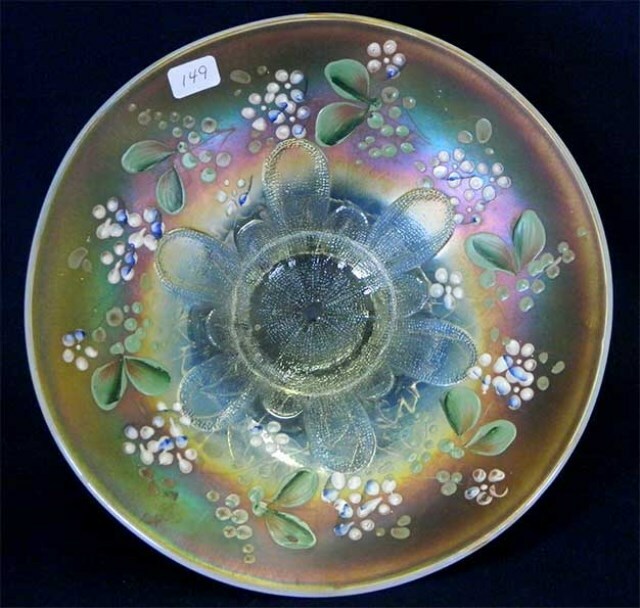 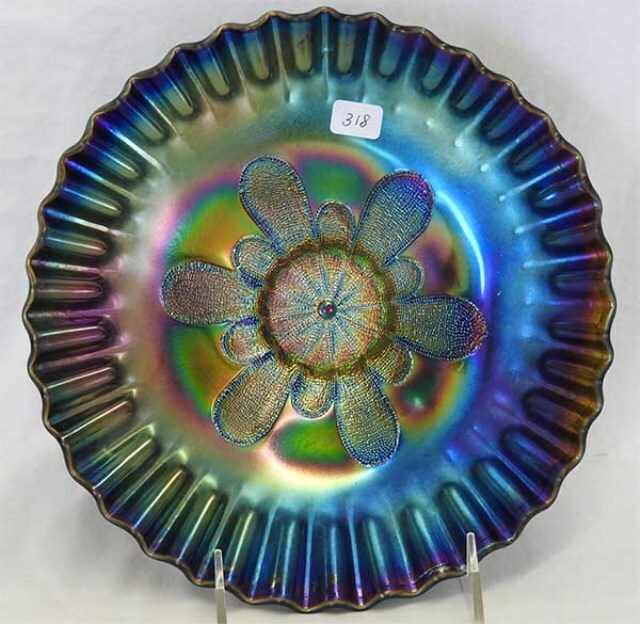 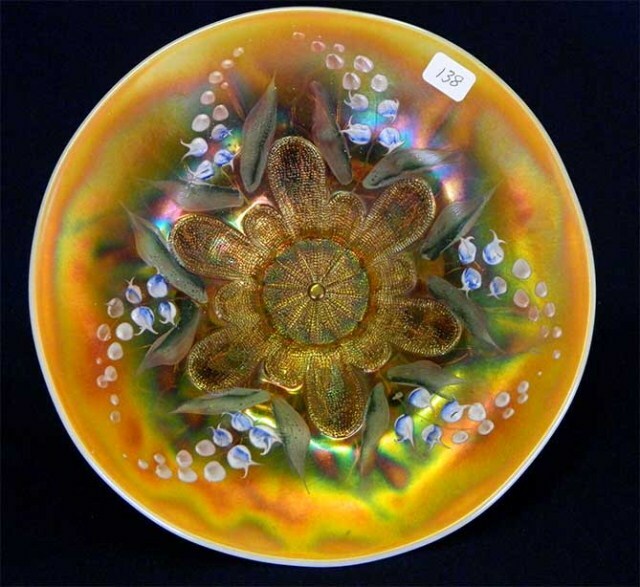 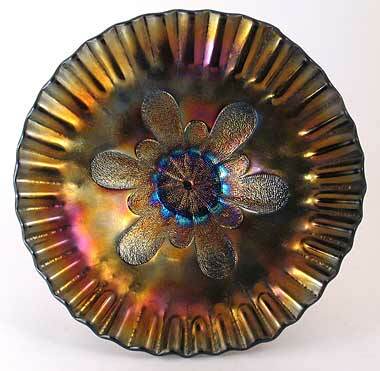 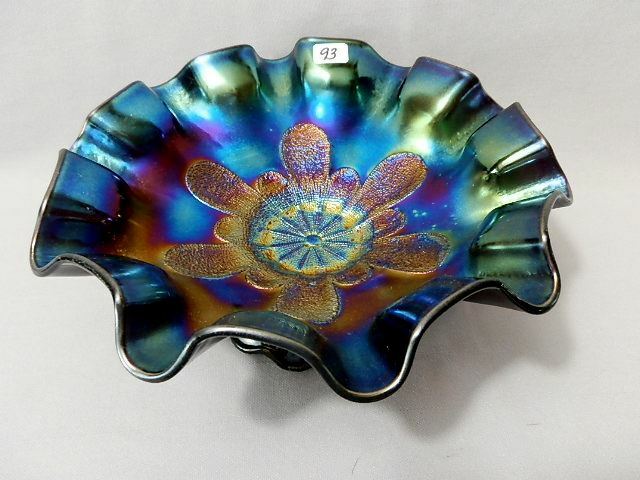 Dugan also made a fair number of these with enameled decoration.